Our thanks to La Farge Library in Santa Fe for allowing us to display our labyrinth art and other information for the month of November. Library staff reported all books about labyrinths were checked out during this time! British Labyrinth Sojourner Clive Johnson is making his way around America with his canvas labyrinth. Labyrinth Around America is a an initiative to take a labyrinth around the United States, making stops in each state that marks the border of the mainland (i.e. those states that share a border with Canada or Mexico, or those which have a coastline). The labyrinth may journey to other states later – including Alaska and Hawaii – but the initial intention is to encircle the mainland with a trail of positive energy, bringing an invitation for people to come together in walking this wonderful path. For more information, visit http://www.labyrintharoundamerica.net and on Facebook at https://www.facebook.com/labyrintharoundamerica/. 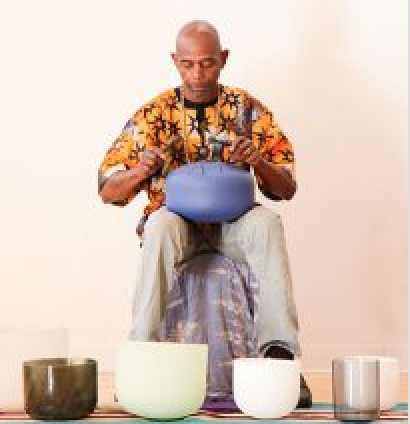 You can meet Clive in Santa Fe, walk the labyrinth and talk with him about his project on September 18. 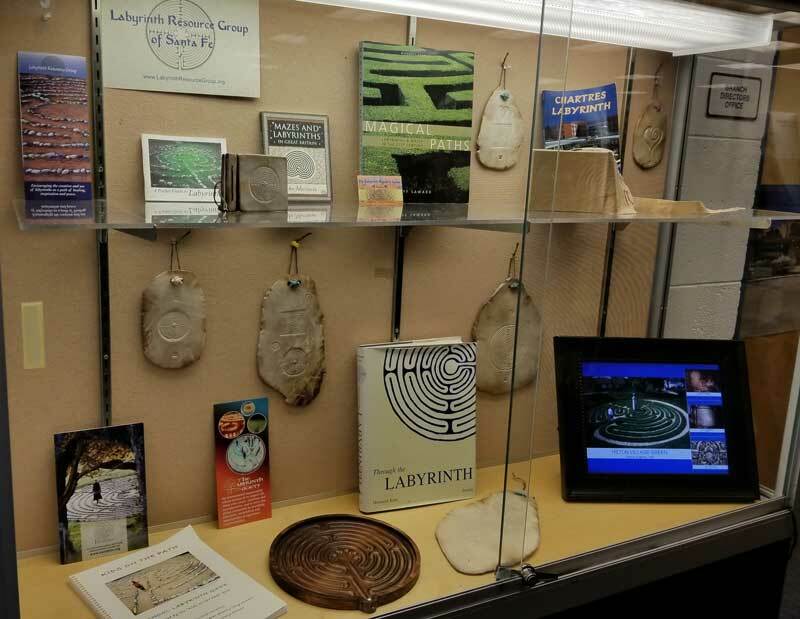 The Labyrinth Resource Group will celebrate its 20th anniversary with a lecture by Rev. 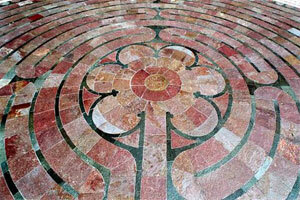 Dr. Lauren Artress, followed by a labyrinth walk on Sunday, May 27, beginning at 2 pm. This special day on Museum Hill in Santa Fe will begin with a lecture titled “The Labyrinth: Its History, Mystery, and Meaning” by Dr. Artress in the auditorium of the Museum of Indian Arts and Culture. She will lead a walk following the lecture on the outdoor labyrinth in the plaza on Museum Hill. Dr. Artress’ lecture will guide visitors in a journey to discover what labyrinths are, tracing their origins and identifying their many forms. She will also explore ways in which they promote peace and mindfulness. Tickets for the lecture and walk: A $20 donation (or whatever you can contribute) is suggested. Tickets online with PayPal or by check. Reverend Dr. Artress is the driving force behind the labyrinth revival movement of recent decades, and she travels around the world offering workshops and lectures. She has published three books on the subject, including “Walking a Sacred Path: Rediscovering the Labyrinth as a Spiritual Practice.” She’s also a canon at Grace Cathedral in San Francisco and founder of Veriditas, a non-profit organization dedicated to introducing people to the healing, meditative powers of the labyrinth. 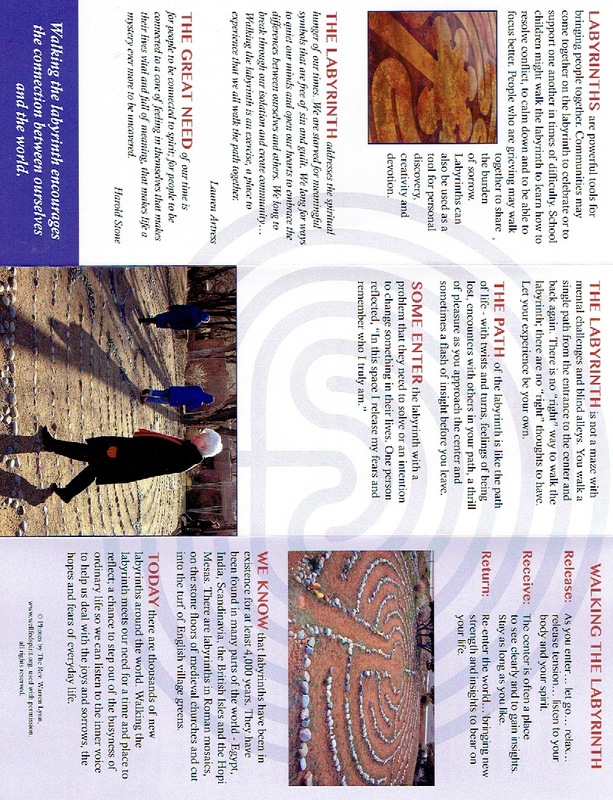 Dr. Artress will also be giving a Labyrinth Facilitator training at Ghost Ranch in Abiquiu, NM on June 2. More information. For more information about Dr. Artress, visit www.laurenartress.com or Facebook. Take slow breaths. Relax and move at your own pace. 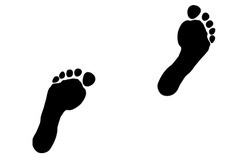 Walking into the Center – This is a place of reflection. Santa Fe artist Carlos Smith features labyrinths in the images that he creates, many of them using traditional metal working techniques of the Southwest. You can catch him on Facebook or every year at Spanish Market in Santa Fe. Labyrinths can be created out of a number of materials. 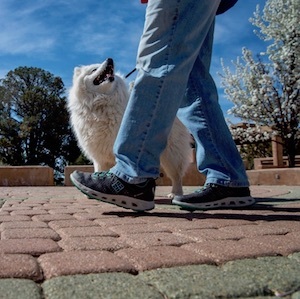 In Santa Fe, the labyrinth at Frenchy’s Field Park is made out of earth, water and straw, known as “cob.” In a similar to the process to the one used to make adobe bricks used for buildings, the materials are mixed, formed and allowed to harden in the sun. The labyrinth gets a lot of use and so must be maintained regularly. Here’s a photo of a mudding team hard at work.